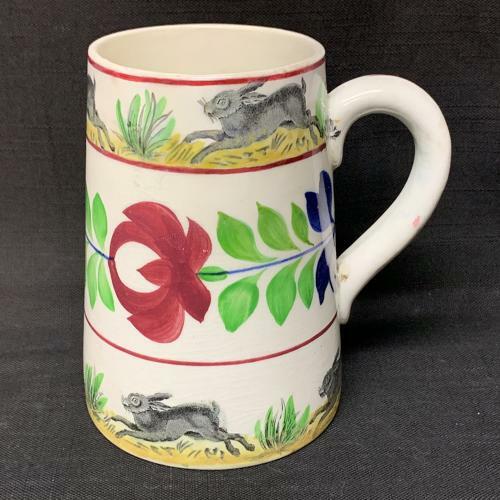 This large mug measures 5 1/2 inches in tall and 4 inches at the base excluding the applied handle and transfer printed in black and painted with enamels in yellow, red, brown and green. Adams Rose variant pattern. This folk art is a highly collected art form. Never Used. The piece is in outstanding condition.